British summer can't be British summer without a stack of courgettes. Much more versatile than many will give this vegetable credit for, our farmers work really hard to get a consistently good crop throughout the summer period. 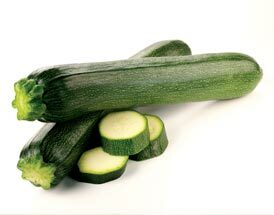 We look for good skin finish and flavour, with baby courgettes (or zucchini if you prefer!) available periodically too. UK season typically begins in June and runs through to October. We think it’s best stir fried or steamed, but click here » for product information, and recipes.